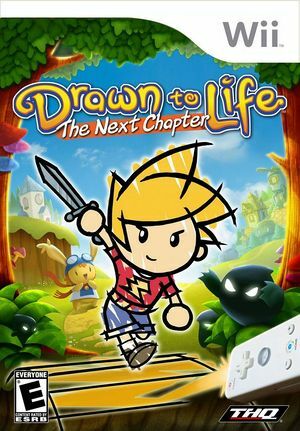 In Drawn to Life: The Next Chapter, players will draw their own heroes using the Wii Remote to find the Artifacts of Power and rid the Raposa village of an evil, shadowy figure that has taken over the land. Throughout the game, players can draw more than 100 unique items from robust drawing tools, such as vehicles, weapons and tools, to conquer their enemies. The all-new Action Drawing tool allows for objects to be drawn directly into the game to help navigate through several environments, including a sky world, a jungle and a shadow city. In addition, the game's multiplayer feature will allow players to draw their team members and equipment to compete against others in a variety of mini-games, such as soccer, hockey and basketball. Drawn graphics required Store EFB Copies to Texture Only to be disabled. This is now set be default for this title since 4.0-8400. The graph below charts the compatibility with Drawn to Life: The Next Chapter since Dolphin's 2.0 release, listing revisions only where a compatibility change occurred. This page was last edited on 10 January 2018, at 17:46.